The souvenir of today's sun, originally uploaded by OiMax. 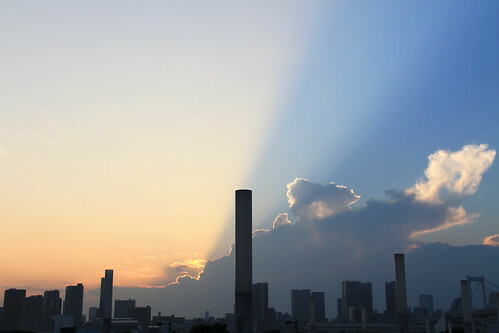 I went to Odaiba area on last Saturday, and I could see beautiful sunset and sky. It seems like a finale of good show.